Playing Poker Online in Maryland – Legal or Illegal? Last updated: June 11, 2018 at 12:46pm by Savanah – The state lottery broke all-time records in revenue for the 2016 fiscal year; $1.9 billion (previous record was $1.8 billion in 2012). $156.55 million was generated from Maryland’s six casinos last month (May). The $1.4 billion MGM National Harbor Casino opened on December 8, 2016, which is the 6th casino in the state. A bill to legalize home poker games, HB 127, passed the House, Senate, and was signed into law in May of 2016 by Governor Hogan. Also, there is a good chance lottery sales over the internet will be passed in the near future, which only helps the idea of legalizing poker online in the future. This question comes up often and like a majority of states in the USA, including Maryland, it’s walking a tight rope. Although there are several laws stating gambling is illegal in certain forms, i.e. sports betting, there is no law specifically stating it is illegal to play poker on the World Wide Web. Click this link to learn more about other state-by-state poker and gambling laws. In fact, the State Lottery Gaming Control Agency is the one who created, oversees, and provides this service to Maryland residents. You can visit the Maryland government website which explains this in detail. This should give some hope for those who play poker on the internet, can’t see much difference between lotteries and poker. Casinos in Maryland are always a big discussion since they generate tons of money to the state and education through heavy taxes. Later in this article we will discuss who all benefits and receives money from these privately-held casinos. You might be pleasantly surprised that even minority and women owned business benefit from these casino taxes. In November of 2012, the most expensive political campaign in Maryland’s history was concluded with the passing of casinos to offer tables games such as blackjack and roulette at their current five casinos, while adding an additional sixth casino to the state. The registered voters approved Question 7 by a 51.9% yes and 48.1% no regarding an additional casino to be built while offering table games at all of them. During the campaign MGM Resorts International and Penn National Gaming contributed more than $80 million into the campaign. MGM’s mindset was if it gets approved, which it did, they would be the selected company to build the state’s sixth casino; a $1.4 billion destination resort/casino. Penn National Gaming was on the flip side hoping it wouldn’t get approved to avoid the threat of a casino being built by their own which is located in a nearby city; the MGM giant won this battle. The Baltimore Sun news source does an outstanding job of covering gambling within their state, and I recommend them as a reliable source covering the facts and an unbiased opinion. Hollywood Casino Perryville – Maryland’s first gaming facility which opened on September 27, 2010. They feature 1,500 slot machines, a casual restaurant, and parking for 1,600. Ocean Downs Racetrack – Opened on January 4, 2011. They have 34,000 square feet of gaming space and 750 slot machines. Maryland Live! – Opened on June 6, 2012. They feature 4,750 slot machines, a live music venue, several restaurants and almost 5,000 parking spaces. Rocky Gap Loge & Resort – Opened on May 23, 2013. Horseshoe Baltimore – Opened on August 27, 2014 with 15,000 visitors, 5,000 more than anticipated. However, even with their opening day success, the casino has brought in 34% less revenue ($22.4 million) than predicted in its early stages. Maryland’s sixth casino opened in Prince George’s County on December 8, 2016. It’s an MGM Resorts casino which cost $1.4 billion. In a controversial 2008 constitutional referendum, voters approved the installation of up to 15,000 video lottery terminals at the five in-state casinos. This might not seem like a huge deal, but wait until you see the financial returns to the state. The state retains 67% of all revenue generated by the slot machines, among the highest percentage in the United States. 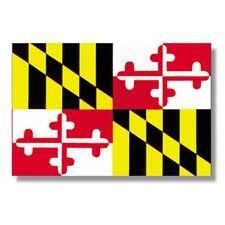 As you have read in this article there have been recent positive additions to gambling in Maryland. This makes one to believe they are in favor of gambling in general and see the financial benefits it can bring to their state. The near future might bring in new laws offering more clarification and clear legalization to online gambling/playing poker over the internet to make things more black and white instead of its current grey area.